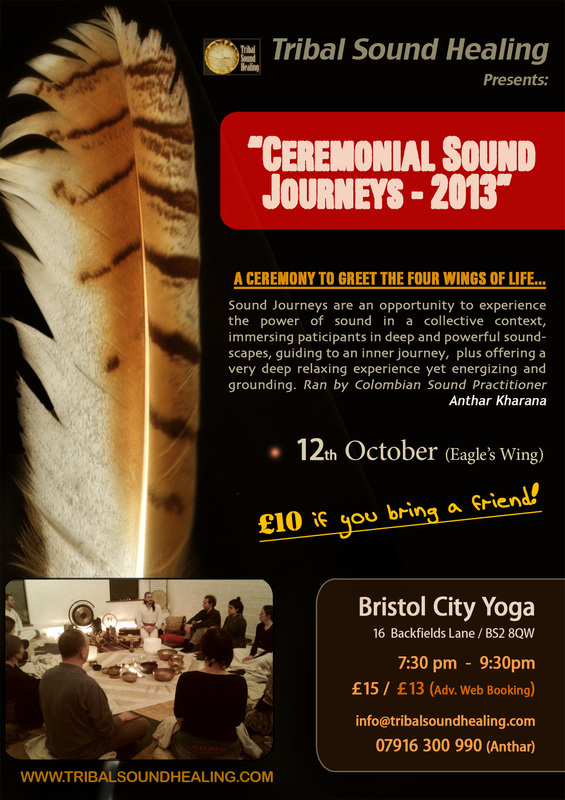 CEREMONIAL SOUND JOURNEYS RETURN TO BRISTOL!! After a busy Summer time sharing traditions in different parts of the UK, Anthar Kharana returns to a settled period of Sound Ceremonies in Bristol Area. Come and join us in these wonderful journey of weaving the Hearts with sound! **Mats and blankets available!!! just try to have comfortable cloths but if you are coming straight from work don't worry just come along, we will hug you equally! £10 IF YOU BRING A FRIEND!! !